A company of auditors , accountants and consultants practising in Cyprus. The firm has 23 employees speaking Greek, English, Romanian and Russian. Offices in Limassol and Nicosia. Through our associations we can serve our clients all over the world and especially in UK, Romania, Greece and France. The company’s main office is situated in Limassol. 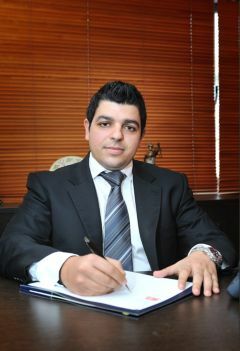 The Managing Director is Mr. Nicos Constantinou FCA, FCCA, CPA. Mr. Constantinou is a member of the Institute of Chartered Accountants in England and Wales, the Association of Chartered Certified Accountants, and the Association of Certified Public Accountants of Cyprus. Mr Constantinou is also an insolvency practitioner authorised to be appointed as a company liquidator, examiner and reorganise and negotiate debts. Mr Tasos Constantinou is a holder of a bachelor degree with honours, member of the Institute of Chartered Accountants in England and Wales and a fellow member of the Association of Chartered Certified Accountants. Mr Constantinou is also a member of the Institute of Certified Public Accountants of Cyprus and a registered mediator with the Cyprus Ministry of Justice and Public Order.